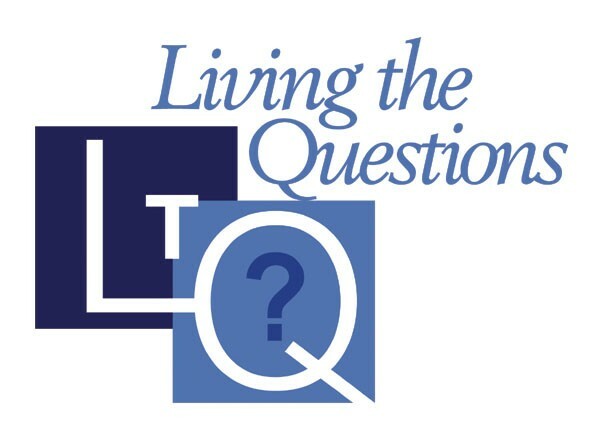 Our four week Adult Education Forum begins tomorrow, Thursday, October 25 at 7:00 p.m.
Every Thursday for the month of October there will be the opportunity to attend a four week series entitled Living the Questions. This includes a 20 minute provocative video with world renown theologians talking about Christianity today. This will proceed with an open forum. We will meet Thursday evenings in October from 7:00 p.m. to 8:00 p.m. Feel free to bring a friend!